Note: This project is still in progress. 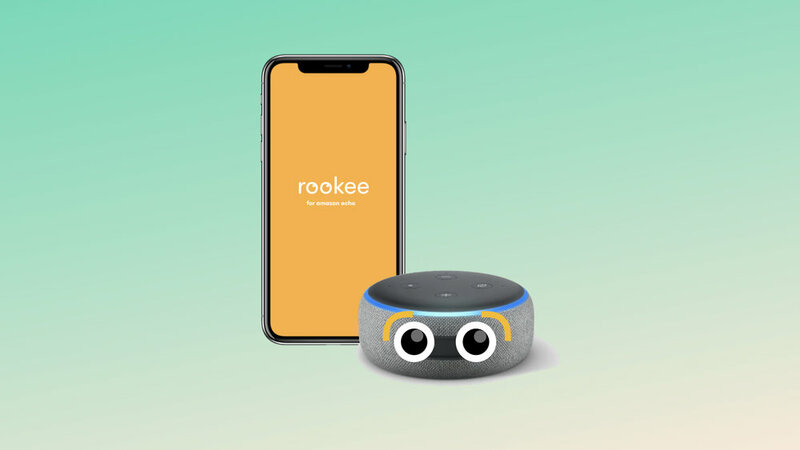 Rookee is a conversational AI that uses a voice UI and app to emulate your family’s language, voice, and accent, wherever they may come from. Rookee is specifically targeted to children, ages 3 - 7 years old, as that is when a significant amount of language development takes place and children are transitioning from home life to school. How might we use conversational AI as a means to counteract individual racial and gender bias in young children? How might voice UI be a tool to foster inclusivity? Voice UIs today, such as Amazon’s Alexa or Apple’s Siri, are created to be servile. They are not representative of the world’s diversity. At scale, they can perpetuate gender and racial biases. To begin to understand the systems at play, a theory of change was constructed through the creation of a transformation map. Then, the problem was diagnosed at a systemic high level before drilling down into a smaller microcosm of the systemic issue. After listening to Alexa’s voice, participants drew illustrations of what Alexa would look like if they were a human being, and then were asked several questions about Alexa’s race, political beliefs, and personality. From the information gathered, all participants responded that Alexa was a white woman. Participants also believed she couldn’t think for herself and was pushing a libertarian agenda. In a vacuum, these findings are pretty hilarious. But what if you are a child growing up with this technology in your household? What are the developmental impacts that Alexa may have on you? I had the opportunity to talk with over 30 subject matter experts on the topics of artificial intelligence, bias, inclusivity, and socialization. This included conversations with machine learning engineers, ethical technologists, behavioral and developmental psychologists, activists, and PhD candidates. How will AI and machine learning either equalize or further exacerbate existing inequalities in society? How will the scale of AI-powered products and services impact human behavior and interaction—particularly socialization of the next generation? Thinking about the insights drawn from my conversations and research, I began to wonder how we could make current AI-powered products and services more “human.” I started with smart speakers and focusing on Amazon Alexa. In many ways, Alexa’s voice UI is built to mirror the way that humans use language to communicate with each other. But Alexa’s form does not match the voice. I began exploring what it would mean to add a human element to it—in the form of bluetooth googly eyes and eyebrows. The eyes would be responsive as a user interacts with it. If the user treats Alexa with respect, the eyes will remain happy. If the user treats Alexa poorly, the eyes will roll and eventually become angry and lock. Then, I also explored what it would mean for Alexa to have different language, dialect, and accent options. How might we make voice UI more representative of the diverse world around us? User research and further iterations coming soon.